In the early part of the twentieth century, the Edgren family set up a Plymouth and Chrysler dealership in downtown Pleasanton. Who knew that the dreams of one small family would morph into a long standing family business spanning the life of four generations? In 1979, the automotive industry was booming. 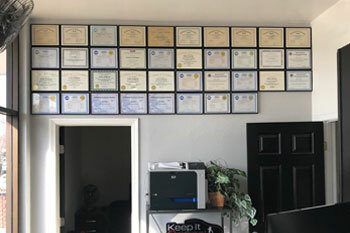 To meet the auto repair needs Pleasanton residents, grandson Bob Edgren established Precision Auto Repair. His goal was to deliver honest, reliable, and quality service at a rate the community could afford. The family tradition continued in 1994, when fourth generation Tyler Edgren joined the family business. Today, the company is known for its outstanding customer service and honesty. One only has to check out our Google rankings to see how professional and organized it is. Established for the community, Precision Auto Repair will remain family owned and operated. We pride ourselves on taking personal care of each customer. Our customers know who we are and we know who they are. The quality of our work is outstanding, and our pricing is significantly lower than dealership rates. We can often get vehicles in and out the same day to minimize inconvenience for our customers. Your vehicle will be repaired right the first time, and we will always stand behind any work we perform. Tyler Edgren is not only an owner but also works in the shop with the technicians. By doing so, he can insure that Precision Auto Repair maintains the quality of repair that our customers have come to expect from us since 1979. The front office staff consists of Kevin Green and Ken Medeiros. Both have extensive training and knowledge in the field of Acura, Honda, Hyundai, Lexus, Subaru and Toyota vehicles. Not only are they courteous and kind but will get you in, out and on your way in the shortest amount of time possible. We offer a recently remodeled and expanded warm inviting waiting area with complimentary coffee, newspapers and magazines. We also have a collection of toys and books to keep your kids entertained while you are having your vehicle serviced. We now have free Wi-Fi in addition to two computer stations available for your use and enjoyment while waiting. Our Goal at Precision Auto Repair is to develop a partnership with our customers to keep their vehicles safe and dependable. Trusting a repair facility with your automotive needs is no small matter. We do everything within our control to build and earn that trust every day, and have been doing it since 1979. 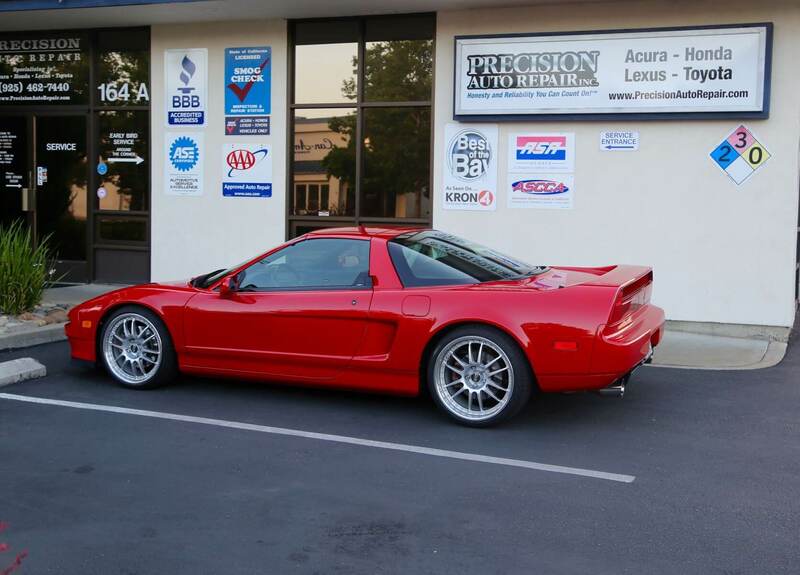 Precision Auto Repair is committed to achieving total customer satisfaction by delivering error-free service on time. To make the needed repairs done right the first time. To make recommendations for regularly scheduled maintenance that will reduce the overall operating costs, as well as make suggestions for repairs that are in your best interest relating to the condition of your vehicle. Our customers come to us for advice on how to best maintain their vehicle. To educate you about your vehicle so that you can make more qualified decisions regarding its care and maintenance. All of our mechanics are ASE certified and undergo continual training and education. We have been a member of the Better Business Bureau since March 1979. We are a State of California Licensed Smog Check Inspection & Repair Station. We have been a member of the Pleasanton Chamber of Commerce for the past 25 years. We are members of the Automotive Service Association and the Automotive Service Councils of California, which helps to keep us up to date to the current laws and changes that affect the automotive industry.